ON A recent television news programme a spokesman for Canal & River Trust blatantly blamed boaters for the Middlewich breach, writes Tom Crossley. We have of course heard it before—that it was a boater who left the paddles up on a lock that caused the breach, a statement that clearly shows that those at the Trust either know they are peddling lies or are so thick they don't know any better. All boaters are aware that to let water through a lock all paddles must be open, which means that a boater exiting a lock has to go back and open the top gate paddles in addition to leaving the bottom gate paddles open, that is rather ridiculous. So according to CaRT this should be risking another breach! 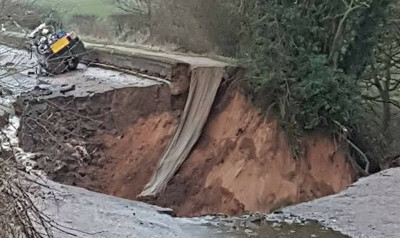 Boaters are aware of the reason for the breach—the same as all such breaches nowadays—no one is inspecting the canals anymore so any fault in the making is of course missed, that obviously happened in the case of the Middlewich. So stop blaming boaters, you are making yourselves look stupid.